PCTEL, Inc., has introduced its new Medallion GSM/WIFI/WIMAX/GPS multi-band antenna featuring a rugged low profile housing that allows omnidirectional reception. 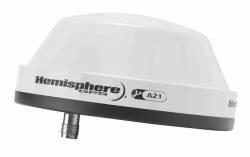 Hemisphere GPS has introduced a new GPS antenna, the A21, designed to reduce the effects of interference from radios, transmitters, and other peripheral electronic equipment. Wi-Sys Communications Inc., based in Ottawa, Ontario, Canada, has launched the WS1551QF L-band + GPS (L1) Quadrifilar Helical Antenna. 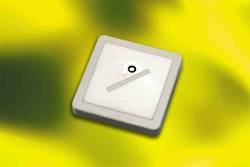 An active right-hand circularly polarized, quadrifilar helical antenna, the WS1551QF provides an omni-directional, cardoid radiation pattern, with peak gain optimized at elevation angles between 0° and 40°. The wideband antenna covers both the L-band downlink frequency band (1525 to 1560 MHz) and the GPS (L1) frequency band (1574 to 1576 MHz). Spectrum Control, Inc., of Fairview, Pennsylvania, has designed a new single-element patch antenna that can receive and/or transmit two frequency bands — GPS and satellite communications — in one package. The new antennas were developed for GPS applications using either Globalstar, for telephone and low-speed data communications, or Iridium’s voice and data communications. 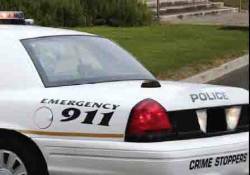 The frequencies cover 1575MHz (GPS) to 1615MHz (Globalstar) and 1575MHz (GPS) to 1621MHz (Iridium).